A stylish scooter for 18-inch dolls that are going places! Don’t forget to put on your helmet! Jump on and let’s go on an adventure. 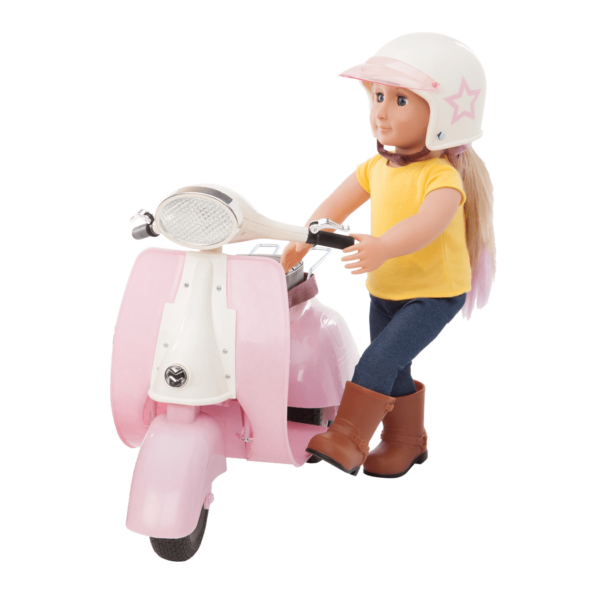 Take your favorite dolls out for a cruise with the Our Generation Ride in Style Scooter for 18-inch dolls! 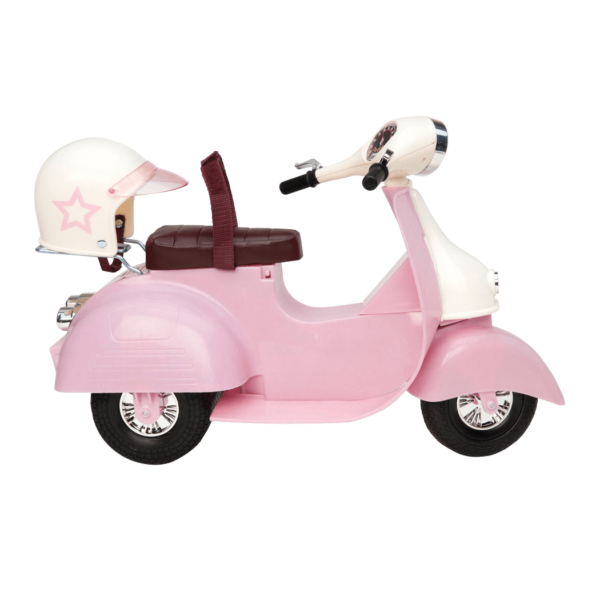 This classic pink and ivory scooter is simple and reliable and is sure to last long enough to pass on from this generation to the next. 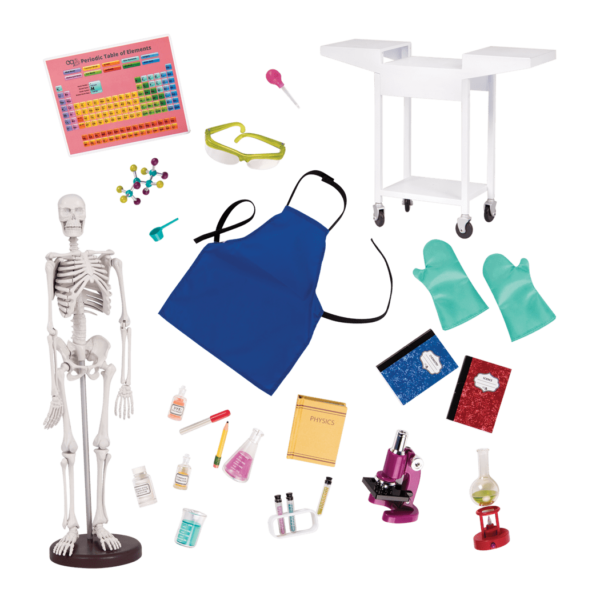 Our Generation dolls are always ready to go places! Your dolls will be secure wearing the seatbelt strap and included matching helmet with a cool star decal as they go on their adventures. Three wheels allow this scooter to stand on its own when it’s not being pushed along on a road trip. 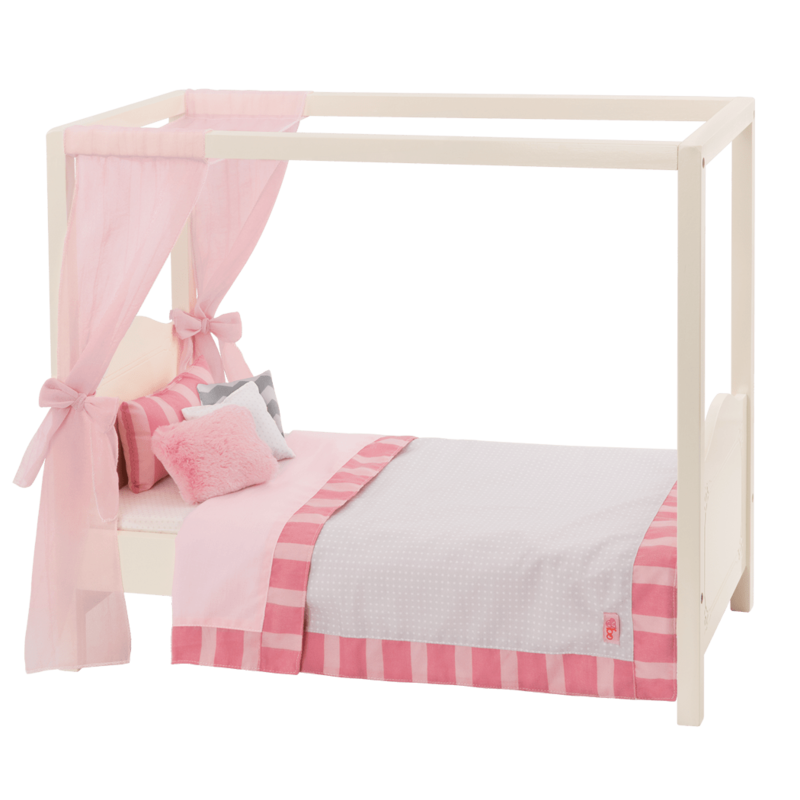 The comfortable seat is made of cushioned vinyl and lifts up to reveal a storage compartment for whatever treasures your doll collects along the way! 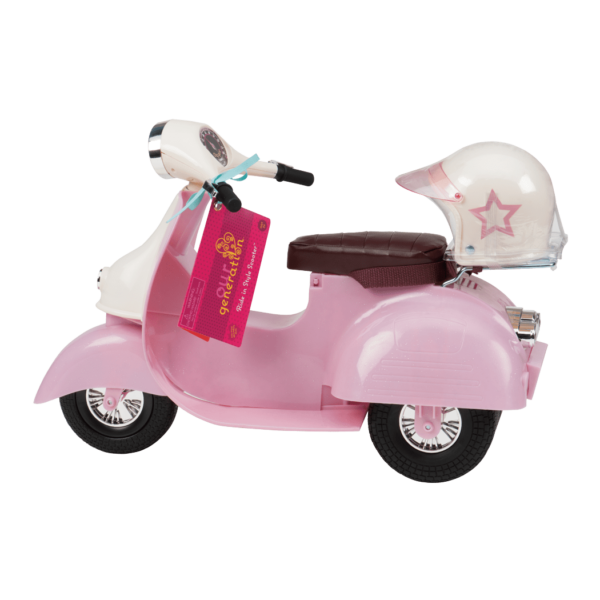 Suitable for both posable and non-posable 18-inch dolls, this adorable scooter will certainly have your dolls riding in style! Have you met Layla, the doll in the pictures of the Ride in Style Pink and Ivory Scooter? Layla is a musician, and she loves driving her scooter to her performances! Which of your favorite dolls will you travel with? Whoever it is, they will need a cool outfit to wear while they cruise around on their scooter! For the perfect driving outfit, try the Back to Cool outfit with sunglasses and a cool leather jacket! Maybe you can use the Ride in Style Scooter to take your doll camping! 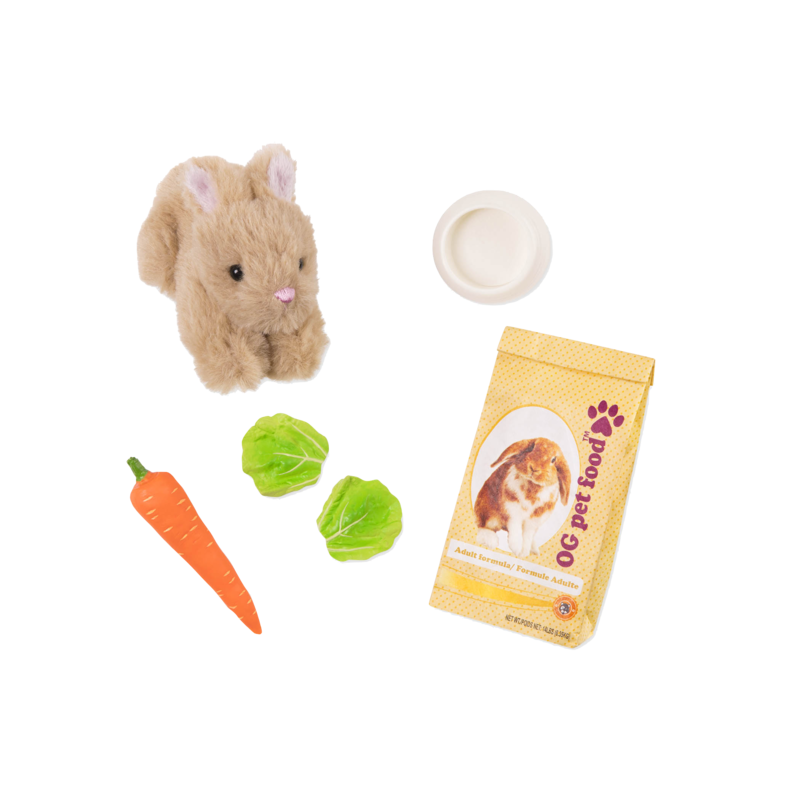 Check out the Happy Camper Set accessory set with a tent, sleeping bag, and accessories to create a great camping experience for your dolls! Cushioned vinyl seat lifts up for storage compartment! The doll in the pictures is Layla. The Ride in Style Scooter arrives fully assembled, so you can have fun playing with it right away!